On a hot, humid summer day there are few things more inviting than a backyard pool. But outdoor décor has come so far that the poolside amenities are as apt to beckon as the idea of a quick dip. 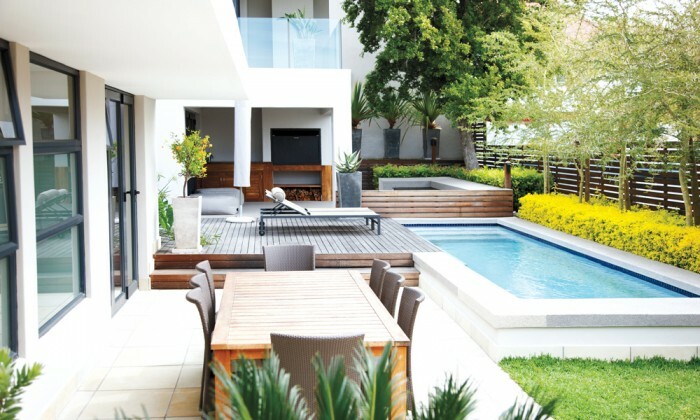 High-tech add-ons, luxurious conveniences and functional hardscapes have turned the traditional backyard pool area into a true extension of the home—with all of its comforts included. The ultimate goal is to create a living space that functions independent of the home. 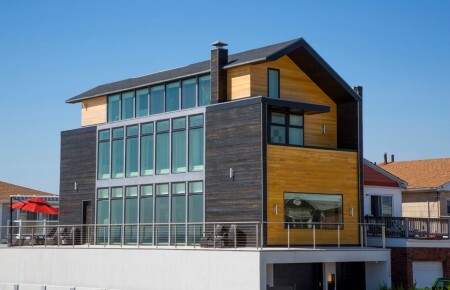 “Many of our customers don’t want the hassle of having to run between the house and backyard. They are adding all the conveniences they’d have indoors—pergolas for shade, sitting areas with beautiful furniture, a grill, outdoor sinks and refrigerators, bar areas and wine coolers are all standard requests now.” Because building such elaborate spaces requires a sizable investment, Elroumy said more of his clients are also looking for features like fire pits, weatherproof appliances and pizza ovens that stretch the seasonality of their backyards. The pool has undergone a reassessment, due to the same demands for functionality and year-round usability. Modern pools and hot tubs serve as exercise equipment, incorporate entertainment systems and create the sense of an endless season. 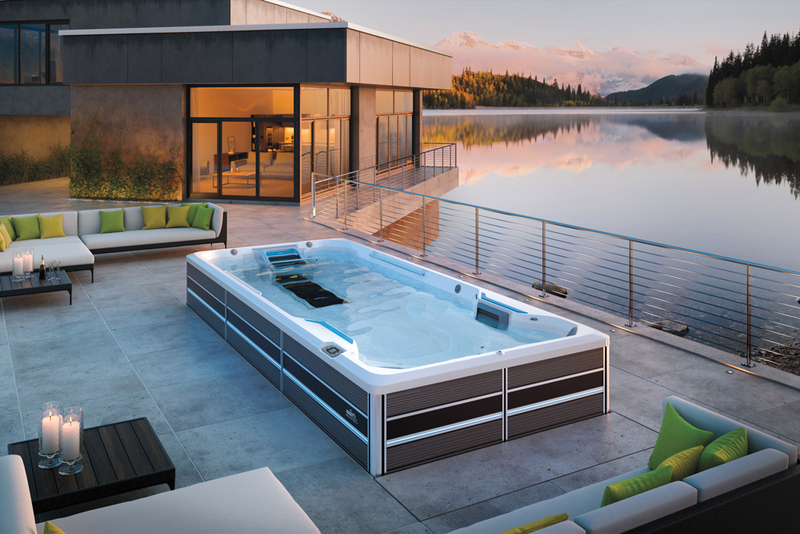 “One of the most popular options we offer is what’s called the Endless Pool System, which is a blend of a hot tub and pool in one,” said Kristy Verity of Ocean Spray Hot Tubs and Saunas in Westhampton, Melville and Farmingdale. If getting outside once meant escaping technology, it now means embracing it. The latest options in audio, entertainment and connectivity not only rival the quality of indoor versions, they’re every bit as in-demand. 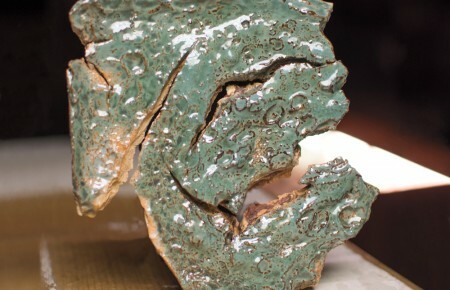 As homeowners prioritize their outdoor spaces, they’re also putting emphasis on upgrades that extend the use of these areas, like high-quality landscape lighting. 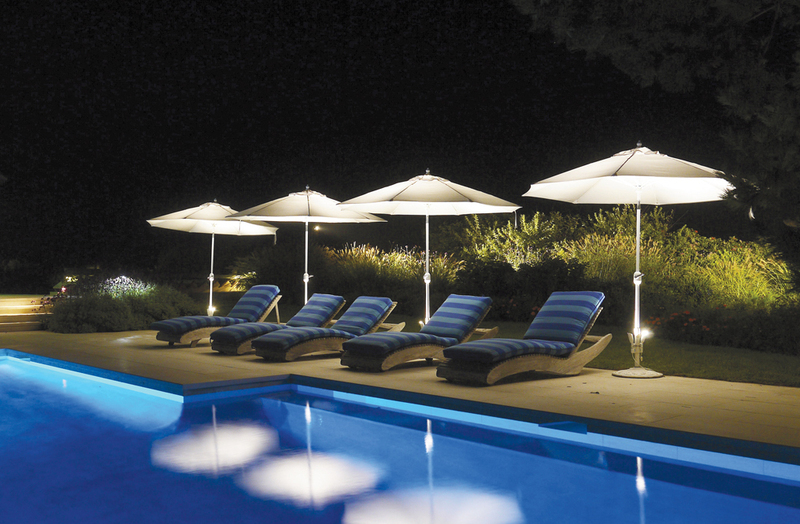 “Most people are working long hours even in the summer, and much of the time they have to actually enjoy their pool is during the evening when the sun is down—illumination is key,” said Scott Armusewicz, Jr. of Hamptons Landscape Lighting in Southampton.